Sitting in the hotel room, I wonder whether I am really in Prague. The congress opened on Thursday with short notes from Ladislav Kabelka (Chair of the Local Organising Committee), Sheila Payne (President of the EAPC), myself as Chair of the Scientific Committee, Vaclav Hampl (Rector of Charles University Prague) and by the Czech Minister of Health Leos Heger. 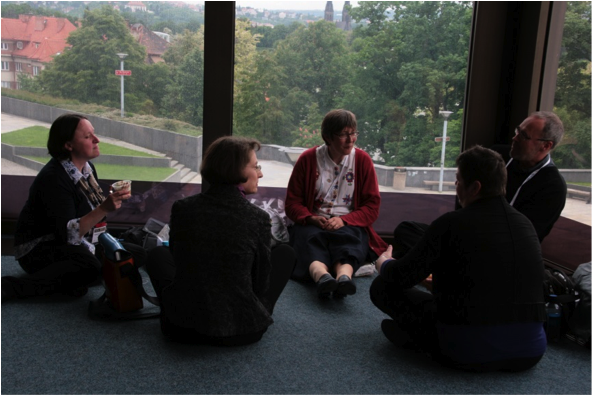 The support from both the local academic setting as well as the political support from the minister of health was most reassuring, and made participants feel at home in the ‘Golden City’ of Prague. Even before the opening some serious work had been done in a number of workshops. The Workshop on the Role of Volunteers in Palliative Care brought together volunteers from different countries in Europe and discussed the different perceptions, roles and barriers encountered in volunteer work. This exchange was an important step towards setting up an EAPC Task Force on Volunteers. The first plenary session highlighted the history of palliative care, and the lessons to be learned as well as challenges we face today, told by one of the pioneers of palliative care, former EAPC board member, René Schaerer. He managed to span the time from the early days of the EAPC to the future in his Floriani Award lecture. 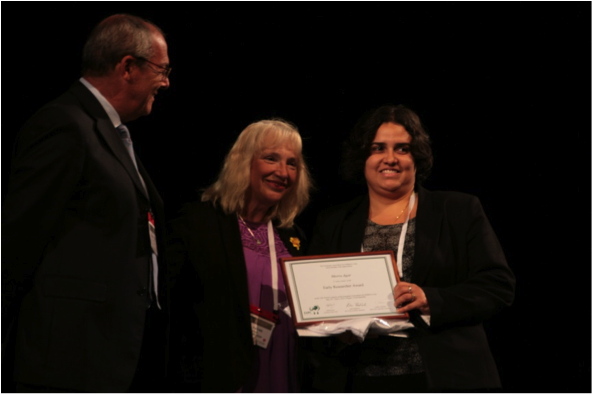 Australian researcher, Meera Agar, presented her research results on treatment of delirium in palliative care patients, for which she had received the Early Researcher Award of the EAPC. Following the plenaries a number of parallel sessions with a wide range of topics made for a difficult choice. In the parallel session on ethics and end-of-life decisions, Paul van den Berghe and Friedemann Nauck discussed the relationship of euthanasia and palliative care. Paul van den Berghe described the problems faced in a country that has a legislation permitting euthanasia, and Friedemann Nauck explained the problems and incompatibilities of euthanasia and palliative care, and emphasized the normative standpoint of the EAPC, that euthanasia should not be part of palliative care. The parallel session on leadership attracted a larger number of participants, indicating that palliative care seems to be growing out of the phase where individual pioneers work in isolated places, and that leadership in teams, services and networks is of growing importance. Agnes Czikos gave the example of her own journey in the Leadership Development Initiative (chaired by Frank Ferris), and Carl-Johan Fürst explained the framework for mentorship. David Currow explained how to set up clinical networks, and Stein Kaasa gave some highlights from the Palliative Care Research Network of EAPC. A congress is not only shaped by the invited speakers, but also the participants, who enjoyed discussing the lectures, and many of whom presented posters or free communications on their own research or clinical experiences. The EAPC booth saw a lot of visitors, offering information on the EAPC social media activities; EAPC taskforces or other EAPC activities. Participants could also pick up a copy of the brand new Atlas of Palliative Care (2nd edition) released at the congress by the EAPC Taskforce on Development of Palliative Care in Europe chaired by Carlos Centeno. We hope that the participants enjoy the congress, and will enjoy it until the closing ceremony!